"The Fathers Who Made the Mountain Heavenly"
Did Elder Joseph of Vatopaidi Support Abortion? The village of Myrtou in the province of Kyrenia is located 28 km southwest of the town of Kyrenia. 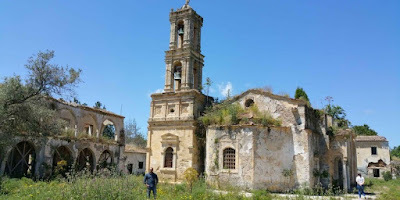 The village was famous for the Monastery of Saint Panteleimon the Healer where every year on the 27th of July, it was visited by thousands of pilgrims from every corner of Cyprus. 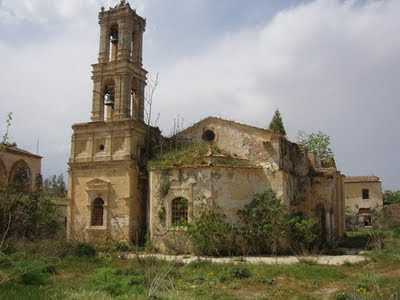 Until 1917 the Monastery was the seat of the Bishop of Kyrenia. The Monastery was founded around 1735 at which time it was visited by the Russian monk and traveler Vassili Barski. Its church is two-aisled, vaulted, but unfortunately it has no frescoes because they were destroyed in 1821. The bell tower is heavy and imposing. 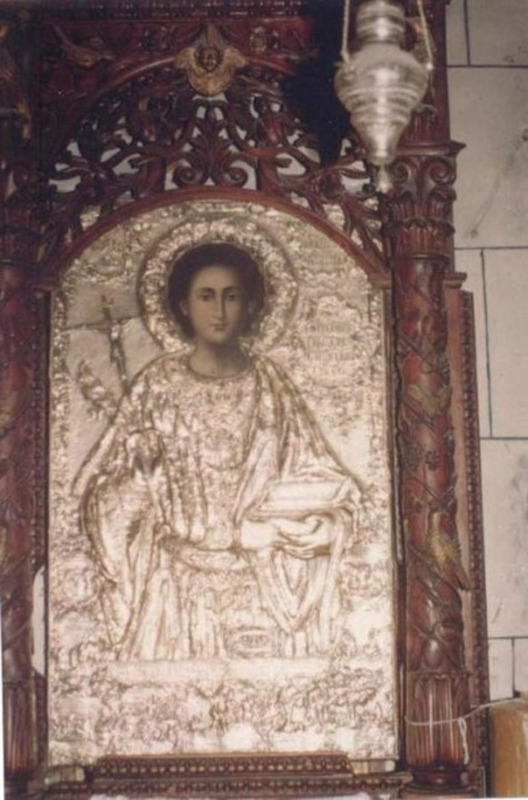 The exquisite art of the carved and gilded iconostasis, built in 1743, was installed with Post-Byzantine icons, that were stolen after the invasion of the Turkish army. Some of these were found in warehouses of the occupied Monastery of Saint Mammas in Morphou. Of these icons, two icons of Saint Panteleimon stood out, the big silver-covered icon which was always full of offerings to Saint Panteleimon (the work of John Kornaros, 1798), and the other one which depicted Saint Panteleimon with the Bishop of Kyrenia Chrysanthos kneeling at the left (1770). From this icon we find out about the renovation of the church made in 1770. Until 1974 the treasury of the Monastery kept reliquaries, sacred vessels and Gospels. 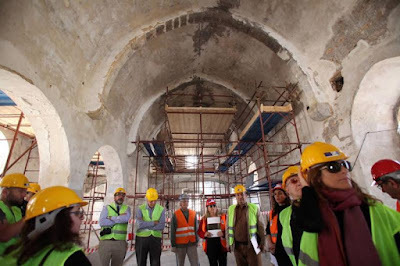 Some of the relics were saved in 1974 thanks to the sacrifices of the locals, and are now kept in the temporary Metropolis Palace of Kyrenia in Nicosia. Saint Panteleimon the Healer was born in Nicomedia, Asia Minor, of a pagan father and Christian mother. He was introduced to the faith of Christ from his mother and was baptized by the priest of Nicomedia Hermolaos. He learned medicine and cured all patients who came asking him for help without ever asking for money. His treatment of a blind man was the cause for him to be arrested and tortured, but he did not lose his faith despite all these. He was beheaded in 305 A.D. In the fifth century (though historians think it was much later) two monks from Lapithos in Cyprus, Dorotheos and Dositheos, returned from Asia Minor and arrived in Myrtou village holding an icon of Saint Panteleimon, in which there was a part of a finger of the Saint hidden. When the monks arrived, they were tired and thirsty, so they sat down and prayed to Saint Panteleimon for help. As they prayed, water gushed from the marble stones next to them, the spring of which still exists. 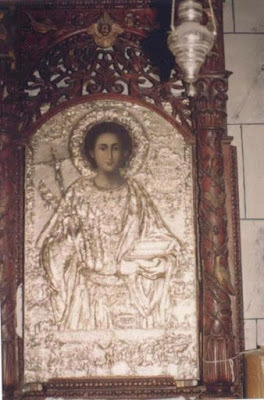 The icon and this small part of the relics of Saint Panteleimon were the cause for many miracles made to the faithful of the region, who as a sign of respect, first built a church and then a monastery in his honor. 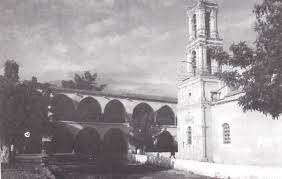 During the Turkish Period the Monastery was renovated by the then Bishop of Kyrenia. 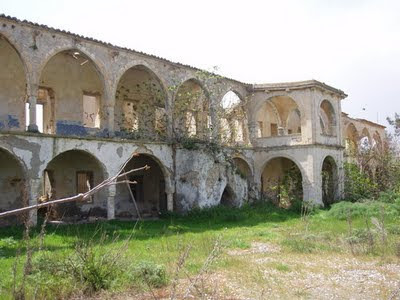 The Monastery became a two-story complex in the south and west, with continuous arches on both floors, which fulfilled the needs of the monks and the Diocese of Kyrenia, as the latter was situated in the Monastery until 1917. During the 19th century a Greek school was functioning in the Monastery. In 1878 a primary school was founded in the Monastery which operated until 1920, when Bishop Chrysanthos established a normal school. At the beginning of the twentieth century, the Monastery housed ten monks, the last of them being Monk Sophronios Michailidis, who died enclaved in Myrtou on 27 July 1976, on the day of the feast of Saint Panteleimon. A local tradition says that while Saint Penteleimon was passing from the village of Myrtou by riding his horse, he arrived in a place with large acacias. He stopped there to rest and searched for some water to drink but the place had no water. Frustrated he got on his horse to leave. As the horse was lifting his leg, a water spring appeared and water began to flow from the horse's footprint. The Saint then descended and prayed to God and after that he drank cool water. The site has survived to this day along with the footprint of the horse and the water spring flowing from it. Although the Monastery has always been small, the miracles of Saint Panteleimon acted as magnets for hundreds of believers from Cyprus and the surrounding region, especially Asia Minor. Because of this, the offerings made to the Saint were many and of importance. 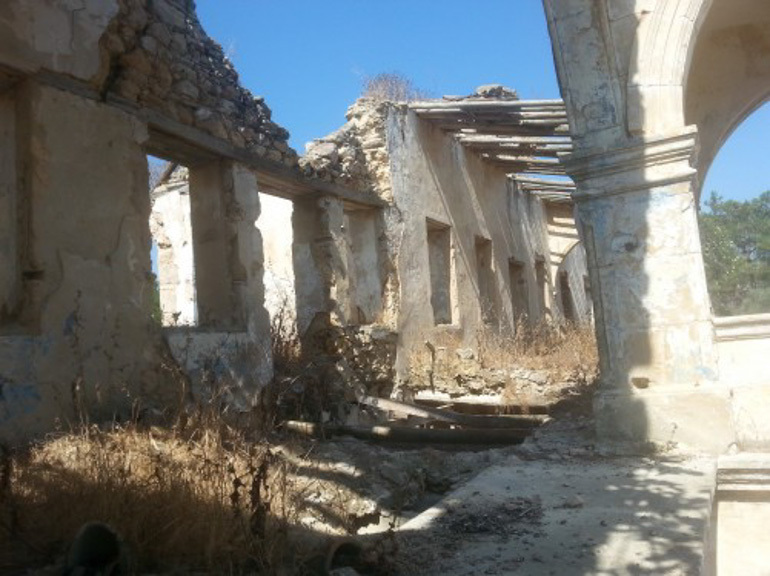 After the Turkish invasion of Cyprus in 1974 until 2004, the Turks used the village of Myrtou as a military base and the Monastery of Saint Panteleimon was converted into barracks for the Turkish military occupiers. 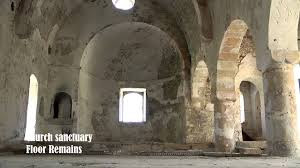 In addition to the desecration of the holy site, as well as the theft and destruction of icons, crosses, lamps, Gospels and other items, the Turks ravaged the buildings of the Monastery and it was abandoned by the Turkish army a few years ago when it was crumbling down. Recently the Monastery of Saint Panteleimon was threatened with collapse, while before 1974 it was in excellent condition. Fortunately in March 2015 restoration work began on the Monastery. This Monastery is looked at as one of the most significant pilgrimage sites of Cyprus, together with that of Saint Andrew of Karpasia, which is why the restoration of all the buildings of the Monastery has special importance.